As I’ve mentioned before, my tastes tend to run toward the dark and demented. 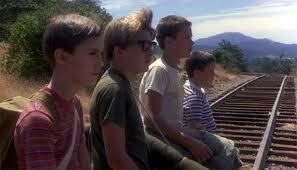 Be it books, movies, music or art, the stranger and darker it is, the more I like it. The two novellas I’m revising are not full on horror, but they both have some twisted elements to them. The novel I’m writing now (9,000 words in!) is my first attempt at full scale horror. But a while back I had an idea for another book. 1) Can I write something that style, and write it well? 2) Will people give it a shot if all I’ve ever written is dark fiction? What I realized is, for number 1, the only way writers get better is keep writing. So I’ll make it the best it can be, and that’s that. And for the second one, of course they will. As if the cosmic gods of writing needed to remind me, I was looking through some of my old paperbacks the other day. Completely at random, I pulled Different Seasons by Stephen King off the shelf. For the unfamiliar, it’s a collection of four novellas, two of which are Rita Hayworth and the Shawshank Redemption (which produced the excellent movie with the shortened title), and The Body, which was adapted into the also excellent film Stand By Me. What I was interested in reading on this day was not any of the fiction in the book, but rather the afterword at the end. To briefly summarize, he talked about how Carrie turned out to be his first novel, and when it turned out to be a huge success his publisher encouraged him to send in what he was working on as a follow up. He sent two projects he’d been working on simultaneously, one horror and one not. They both agreed the horror story was the better of the two, and that ended up being ‘Salem’s Lot. He said that his editor was hesitant, even though he liked the book. His concern? That King would be dubbed “a horror writer” and never escape the confines that brought. It didn’t help that his third novel would be a little story he was working on about a haunted hotel, The Shining. By now his editor told him that was it, no escaping the trappings of being known as a horror writer. In response, he said (paraphrasing), ‘If that’s what people want, I don’t have a problem with that.’ But he kept writing whatever he wanted in between novels, and that’s where the stories that make up Different Seasons came from. I figure if Stephen King can get out of the box people tried to put him in, what do I have to be afraid of? Write what I want, and let the pieces fall where they may. Anyone can escape pigeonholing if they try hard enough. Except Jerry O’Connell. 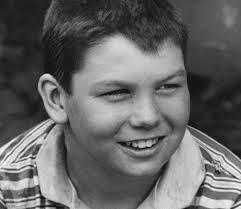 He’ll always be The Fat Kid From Stand By Me. This entry was posted in Books, Writing and tagged A-Z Challenge, Horror fiction, Stephen King, typecasting, Writing. Bookmark the permalink. I too have always been drawn to the dark and macabre. I started reading Edgar Allan Poe at the age of six. I don’t jest–I was a tad precocious. I also read horror comix under the covers with a flashlight. My mother didn’t want me reading such trash in the first place, but I loved them although they gave me nightmares. Is there any problem Stephen King can’t fix? That’s a good one, thanks! Yeah, he got the last laugh in a way didn’t he? He seems like a pretty cool guy.